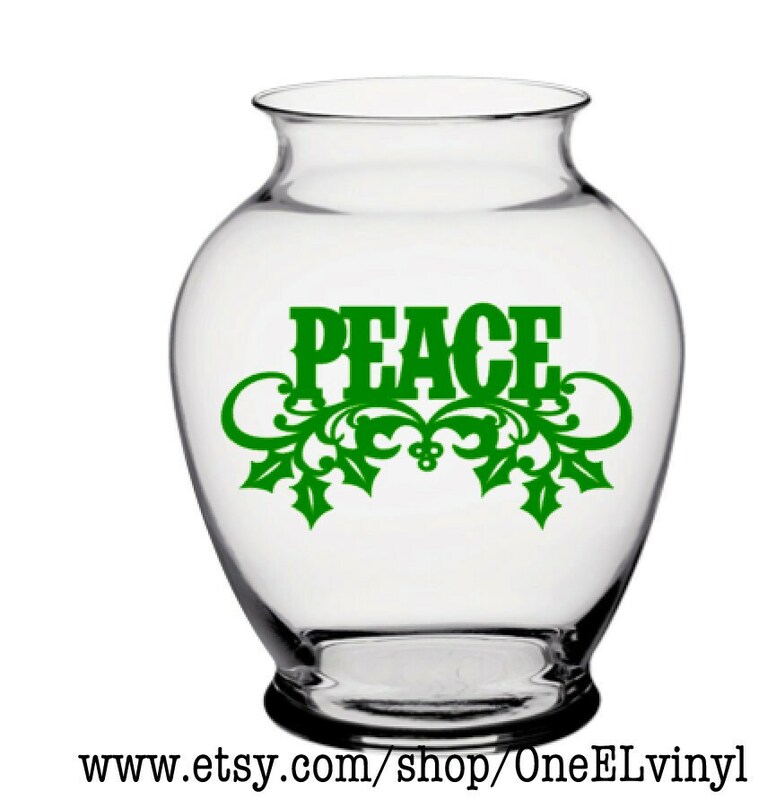 PEACE Christmas Decor Vinyl Decal, Candle holder and Vase not included - Vinyl Decal Only for DIY Candle Holders, Vases, Mirrors, and more. 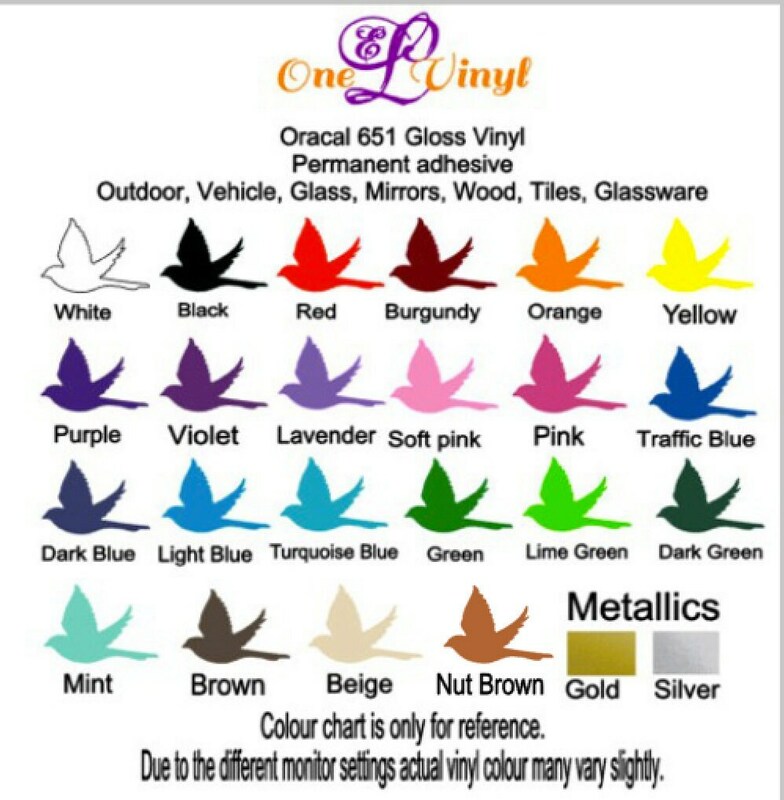 PEACE - Vinyl Decal for a DIY Project. 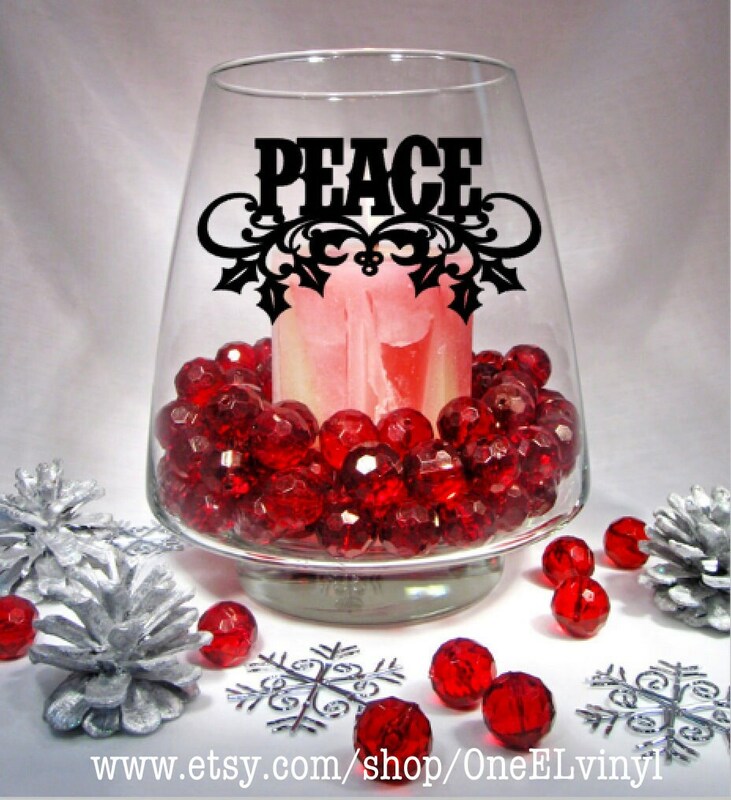 Vases and/or candle holders not included.